The legislation would amend the 1799 Logan Act, a federal statute that prohibits private citizens from engaging in foreign relations, to “ensure that U.S. foreign policy is conducted only by the sitting president," according to a release from Huffman’s office. In a statement, Huffman said it is “dangerous and harms America’s standing in the world” if president-elects insert themselves into policy before taking office, noting presidents Barack Obama, Bill Clinton and George W. Bush all “steered clear of commenting on foreign policy decisions” during the transition period. While Huffman doesn't mention Trump by name in his release, the Republican businessman has caused a stir on several international fronts in recent weeks, including his call to Taiwan's president and responses to China's criticisms of the chat via Twitter. 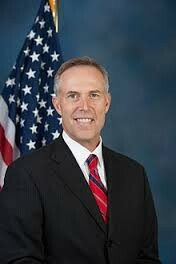 Washington, D.C.- New legislation introduced by Congressman Jared Huffman (D-San Rafael) in the last hours of the 114th Congress would amend the Logan Act to ensure that U.S. foreign policy is conducted only by the sitting President, enshrining into law the longstanding policy that only one President serves at a time. The “One President at a Time Act” would require that in the period between a Presidential election and the President-elect’s inauguration into office, the President-elect cannot conduct foreign policy matters without the authorization of the United States government. The “One President at a Time Act” amends the Logan Act, which bars private citizens from engaging in foreign policy, to clarify that its authority extends to Presidents-elect during their transition period. In 2008, President-elect Barack Obama notably steered clear of commenting on foreign policy decisions during the period between his election and inauguration, as did his predecessors Bill Clinton and George W. Bush who each recognized during the transition period that there is only one U.S. President serving at a time.